Building works taking place at Spire Manchester Hospital meant that Siemens’ staff car park was being used for heavy construction traffic and equipment. 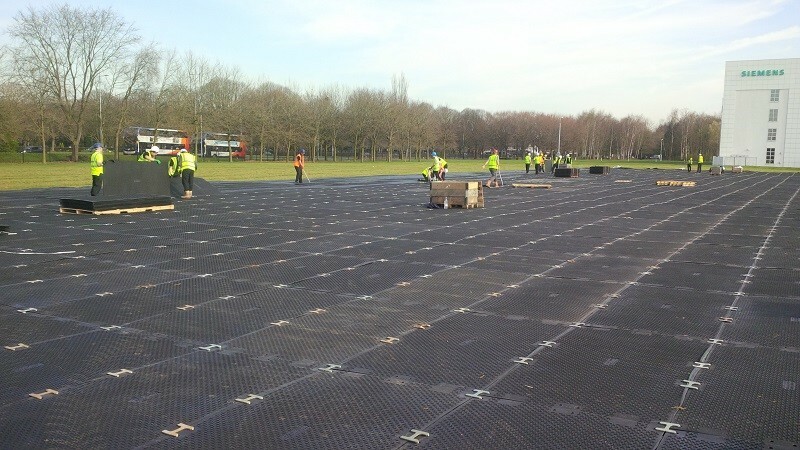 With their own car park out of commission, Siemens needed to turn an adjacent 5,300m2 grass field into a functional temporary car park for their staff to use over a seven week period. Ground-Guards recommended MultiTrack as the best solution to this problem. 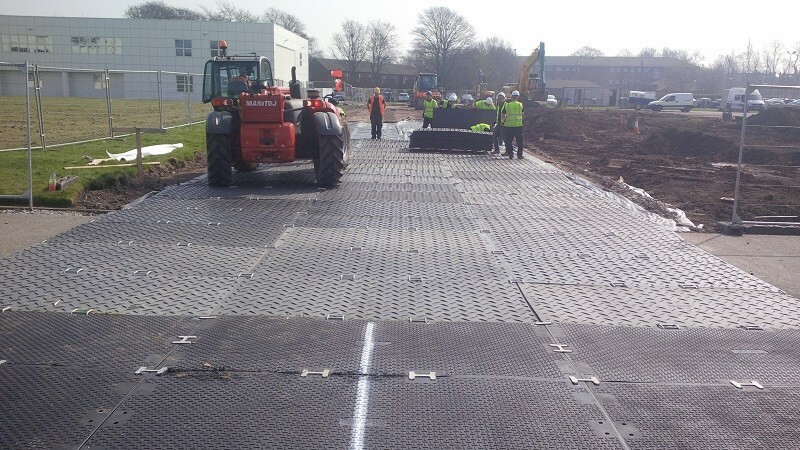 MultiTrack mats are strong, hard wearing, easy to install and provide plenty of grip – perfect for a temporary car park! Weighing only 39kg the mats are lightweight and very easy to handle without the need of any specialist lifting equipment. 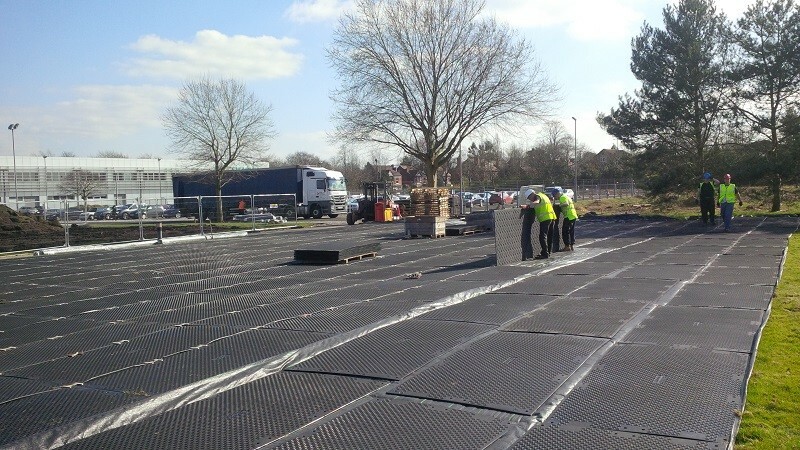 Since the mats are so easy to lay and join, the Ground-Guards’ team was able to construct the car park area very quickly, on budget and ahead of time. 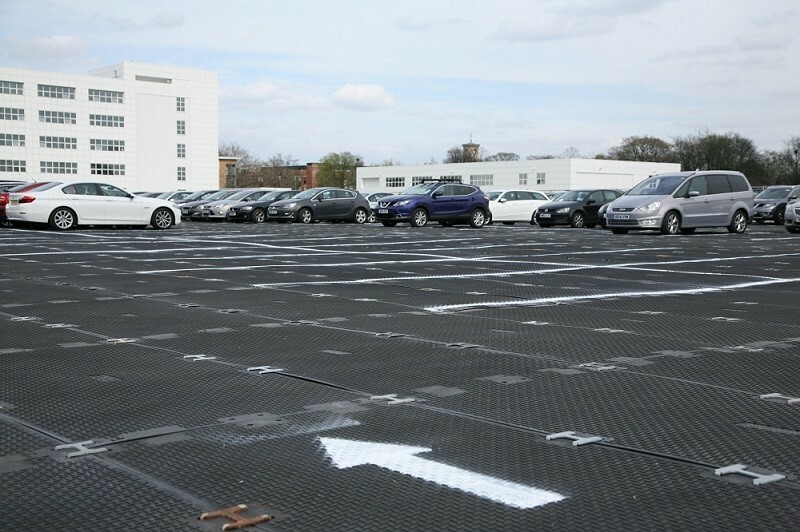 A functional, good-looking car park to accommodate 250 cars was constructed in next to no time using MultiTrack mats, giving the staff a safe, secure parking area and allowing business to proceed as usual whilst building works were being carried out.